I usually savor books and movies on or about the Holocaust. Not from an entertainment aspect, but rather from an "I'm in awe" and "my heart goes out to you" viewpoint. 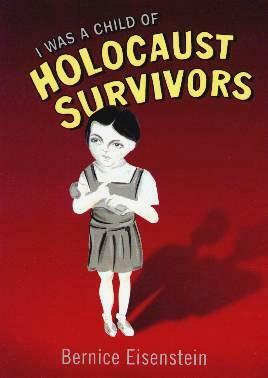 Sadly, I can't say I was enamored with Bernice Eisenstein's story of her Polish parents who met during the Holocaust. It's not their story so much as the way it's told. Too many words in a too roundabout way makes for laborious reading. Ms. Eisenstein tells the story of her growing up in Canada, a child of parents who survived Auschwitz and relocated halfway across the globe. She tells of their idiosyncrasies and their Yiddish sayings, all the while accompanied by childish drawings and comic strip art. Art, being subjective, is difficult to criticize, but quite honestly, I didn't "get" the drawings and neither did I like them. The only part of the book I loved, and which in itself would make a book, was the transcript of Mrs. Eisenstein's story as told to, and recorded by an interviewer from the Shoah Foundation. Truly moving. From then on the book became easier to read and flowed more.